And when in the metro, one would definitely drop my SM Mall of Asia and get themselves a serving of Magnum Ice Cream. Since my flight was still at 7pm that day, I decided to drop by MOA before heading to the airport. I also needed to buy a sandwhich at Subway as requested by my good friend (There is no Subway shop in Cebu). As I was looking for the store, I stumbled upon Cupcakes by Sonja (which I got a cookies and cream cupcake) and the magnum stall on the second floor. I was skeptical whether or not to get one since I already bought a cupcake but when it comes to ice cream, I can never say no to its goodness. So i decided to line up, which was a pretty quick line at that time, and get myself this delicious ensemble! Ice Cream Base: Vanilla with a chocolate coat. It was soooo good. 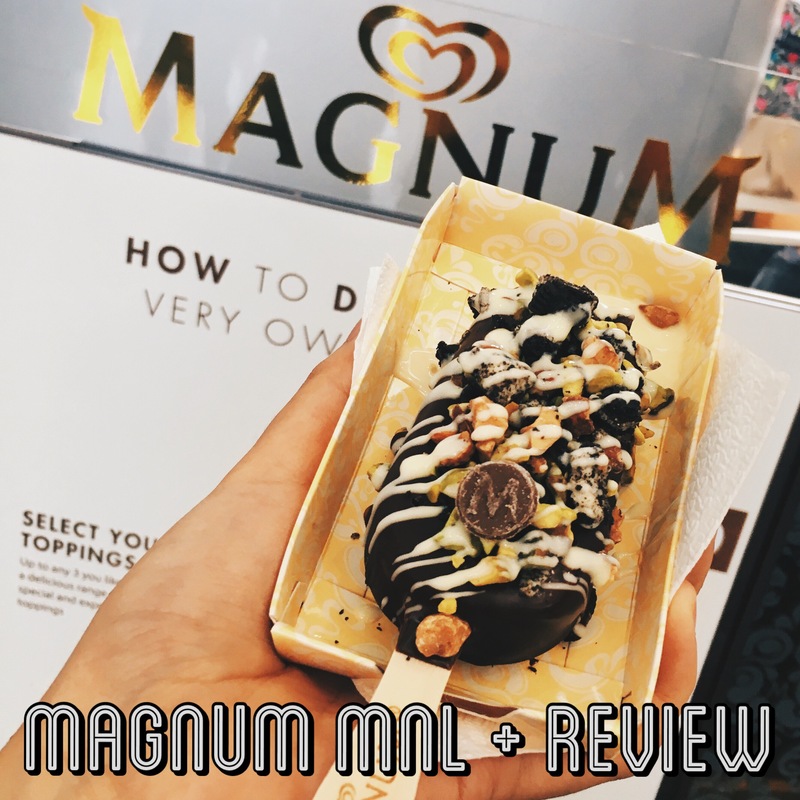 I mean a magnum bar itself is alreay heaven but with these chunky bits added on top of it made it worth the one hundred twenty pesos pricetag, plus it’s pretty instagrammable too! Definitely recommend you guys to grab a bar and eat and lick away.